UPDATE 1330 GMT: Pro-Assad airstrikes are continuing throughout the country, including near Damascus, on al-Wa’er in Homs city, and in Idlib Province in northwest Syria. 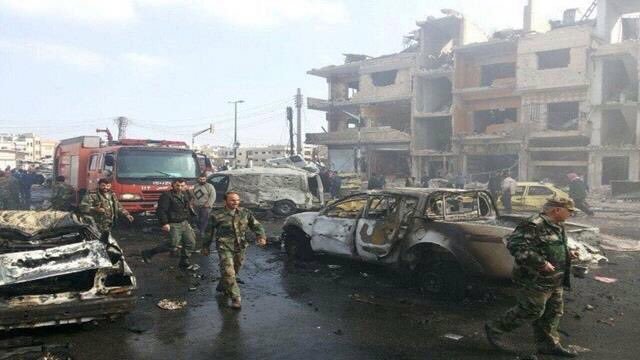 ORIGINAL ENTRY: Suicide bombers struck regime security headquarters in Syria’s third-largest city Homs on Saturday, killing dozens of people, including senior security officers. State news agency SANA said 32 people were killed and 24 wounded. Among the dead were the head of the Military Security Branch, Brigadier Hasan Daabol. The head of the State Security Branch, Ibrahim Darwish, was wounded. Opposition sites said Daabol and Darwish have commanded the bombing of al-Wa’er, the last opposition-held neighborhood in Homs, and nearby rural areas. Daabol also is said to have headed Branch 215, a military intelligence unit accused of mass detentions, torture, and killing of prisoners. 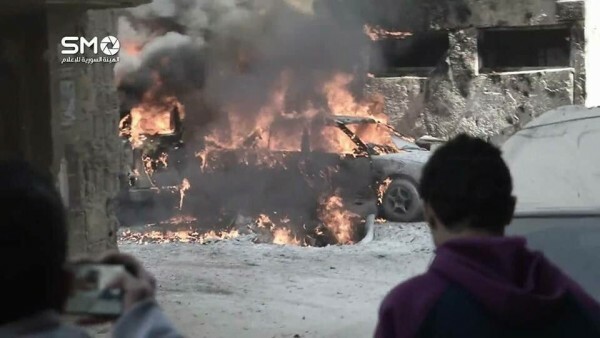 The Hay’at Tahrir al-Sham bloc, which includes the jihadists of Jabhat Fatah al-Sham (formerly Jabhat al-Nusra), said five suicide bombers carried out the attack; however, it stopped short of claiming responsibility. Spoilers were always expected, and should continue to be expected, to try to influence the proceedings of the talks. It is in the interest of all parties who are against terrorism and are committed to a political process in Syria not to allow these attempts to succeed. We condemn all terrorist acts done by all terrorist groups. If the Homs operation was done by any of those, it is clear what I say. “They just want to remain in power. The regime is trying to block the negotiations. Meanwhile, the discussions appeared to make little progress after De Mistura gave a working paper to delegations at the talks on Friday. It’s off to a very slow start. We would like to make things happen fairly quickly. “We have options, concrete operational options and we believe that direct negotiations are what should happen. Kodmani said the opposition-rebel bloc also wants to discuss a transitional political process. However, President Assad has maintained that he will not accept transitional arrangements in which he gives up power. We need to hear from [head of the regime delegation] Mr Ja’afari that he is serious about negotiations about political transition, about an agenda that will take us into the real issues, about how we resolve the problems and the conflict and how we respond to the concerns and fears of all Syrians. When Mr de Mistura says we are here for transition, I don’t see how the regime can still turn away from that and say it is here with a serious intention of engaging. 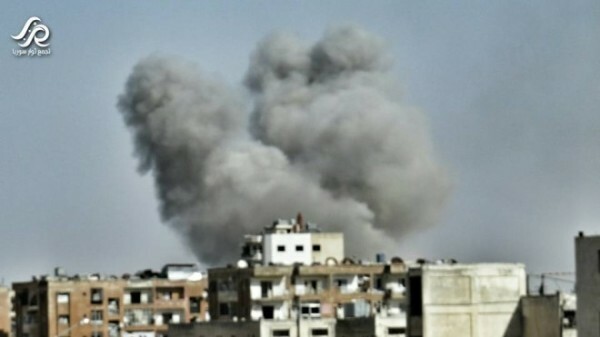 Pro-Assad warplanes continued attacks on Saturday, killing more than 40 people across the country. 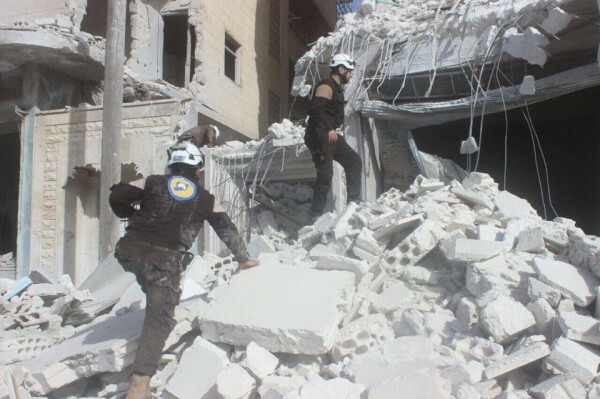 The Local Coordination Committees documented the deaths of 20 people in Idlib Province, 12 in Hama Province, and 12 in the Damascus suburbs. The regime has maintained air and ground assaults despite a nominal ceasefire declared on December 30 by Russia, Turkey, and Iran.